The KiddyCharts kids, and me, well we don’t actually play Moshi Monsters. We know what they are, and Stuntboy even got the Moshlings tree and some Moshlings for his birthday, but we don’t go or subscribe to www.moshimonsters.com. That’s mainly because we haven’t got around to it rather than anything else. Bargain! Can’t get much cheaper than that, and even my pocket money can stretch to 69p. 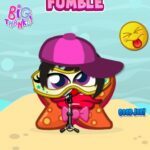 It is a simple app though, which is reflected in the cost, but as its aimed as an information tool for children, as well as giving the a little bit of fun, it still seems good value to me. They didn’t have a problem working out that all the stickers could be re-sized to fit any of the Moshlings using the pinch technique on the iPad. They got it way before I did! The icons that help you navigate through the app, are also very intuitive, with a star giving you access to the stickers, a bin for deleting and a camera to take a picture of your handywork. As all the icons are already familiar to any kids who use computers, we all got the hang of it fast. The house takes you home; no surprises there, and the “i” gives you more information – again a standard in many apps. 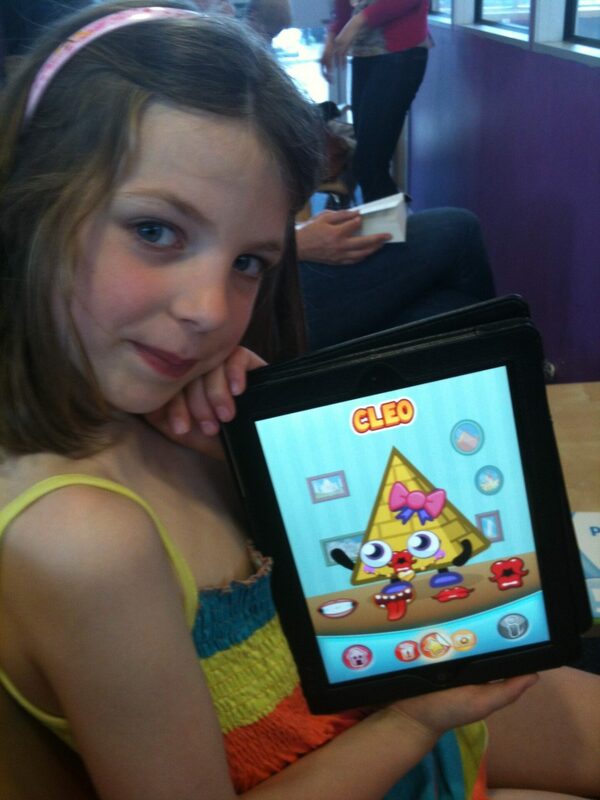 The colours in the app are great too; bright and engaging for the kids – I’m yellow as I KNOW what I am talking about. Hey – that’s not what it was made for! There is a bit of reading for the kids to do, but that’s about it, and Stuntboy did have a go at some of the Moshling’s names. However, it’s about the fun, and there is nothing wrong with that now is there? Gives me a break from being thrown about to entertain the kids, and that’s not a bad thing is it? You wouldn’t want me to get frayed would you? Chatterbox does her Moshi Monster Moshling at Little Gym too! 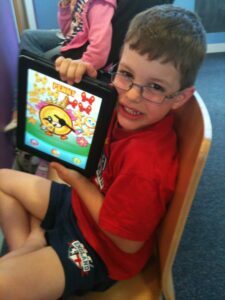 Stuntboy does a Moshi Monster Moshling watching his sister at Little Gym! This app is pretty sticky – the kids wanted to play with it for a looooooong time. In fact, I had to limit their screen time when we first got it, otherwise they might still have been at it now! They were particularly keen on finding out all the noises the Moshlings made, and where they all came from through the information screen. 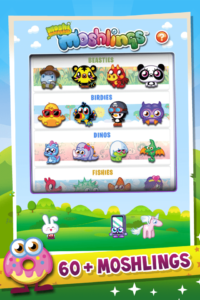 In addition, the sheer numbers of stickers available to put on the Moshlings kept them entertained for a while; making them bigger and smaller to fit all the different creatures on there. And this is all without playing moshimonsters.com. 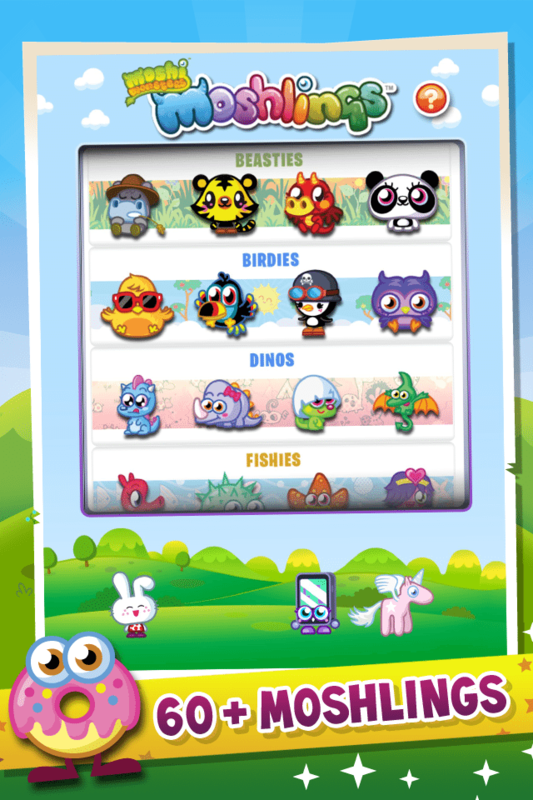 I can imagine that children who use this game would be very keen to know how to get the Moshlings in the garden, and so would make the app even more important to them. After a few sessions on the app, they did start to lose a bit of interest as it is relatively limited. However, they do still ask to play it after having had it for a few weeks now, so its still up there. The app is targeted to the 6-12 age bracket. 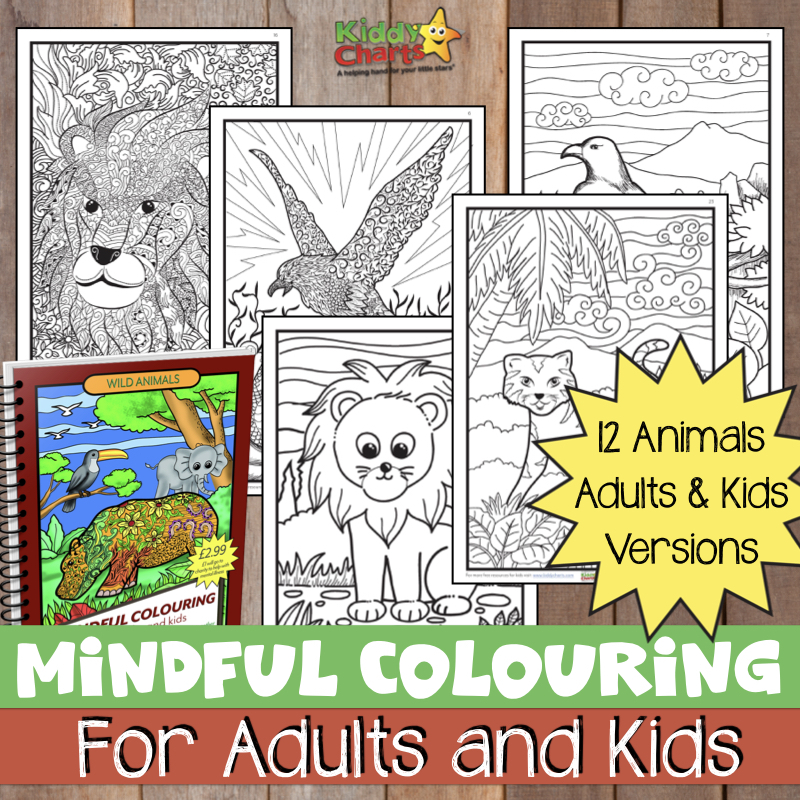 Depending on your child though, it can certainly be entertaining for younger than this. Stuntboy is 5 and really enjoyed getting the Moshlings to make their noises, and dressing them up. I wouldn’t have thought those nearer twelve would want it for anything other than reference though; helping them with the real Moshi Monster‘s game. Both Stuntboy (5) and Chatterbox (6) loved it, so definitely a hit with the younger age in this range. With the middlies able to use both for reference and to build characters too. The kids gave it a 9. The only reason that this Little Star is being a bit of a meany is that it got a bit monotonous for the kids after they had played it for a bit. But hey, its 69p and if you can get a good few hours of interest then its well worth it.